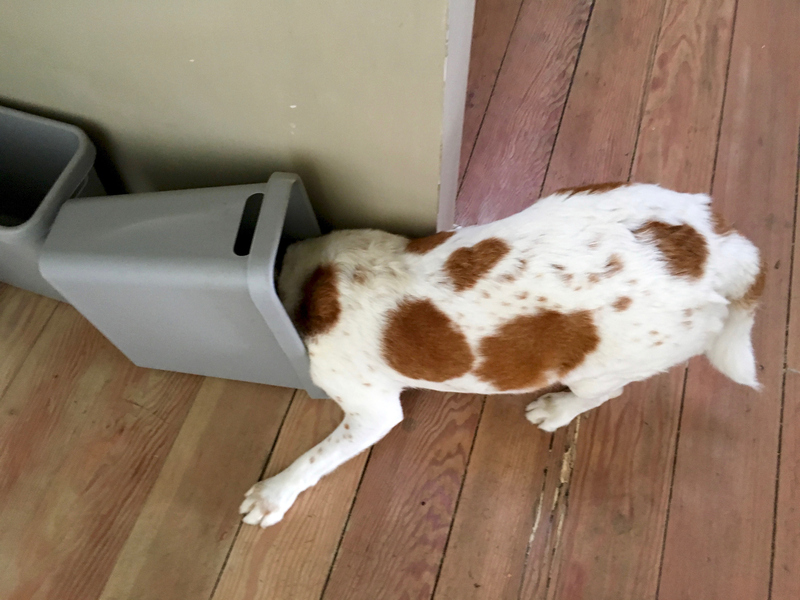 Dogs eat out of the trash for so many reasons, which can be health-related, boredom-induced, or even driven by anxiety. Preventing this bad habit from taking form is actually a very important pet parent responsibility. Garbage eaters can end up with many health complications, and since you’re never really sure what’s in there or what your dog ate, dealing with a health episode can be full of unknowns at the vet. So while it may first seem like a mess you’ll have to clean up, but dogs really should not eat trash for their own health and safety. Your pet health insurance will cover accidents and illnesses that may be a result from eating the trash, so you can (hopefully) catch a problem in time. Remember that a dog eating xylitol and grapes can be fatal, and foreign body ingestion may require surgery (avocado pit, feminine hygiene products, etc.). 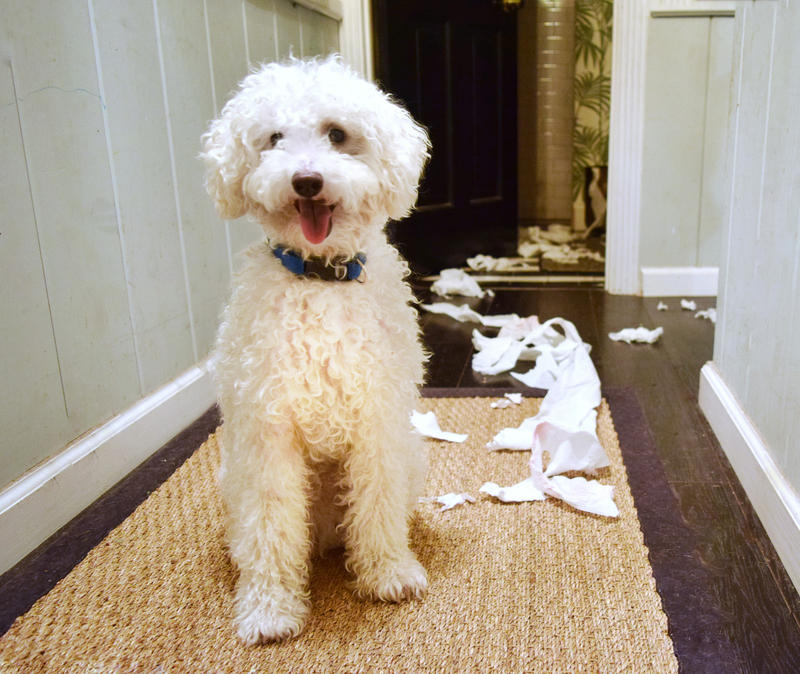 Keeping dogs away from rooms that hold trash is the best first line of defense, but it’s not always feasible. If you can’t keep a dog out of the rooms where trash is kept, making sure your receptacles are completely secure is the next best thing. Lids, locks, cabinet storage, child proofed cabinets, and bungee cords are all little ways you can keep your dog’s nose from going where it doesn’t belong. Website Scoutknows.com has a list of dog proof trash cans for extra tech support. Scouring Amazon reviews for similar stories is also a useful lead for finding uncommon ways to deal with this problem. Asking your vet is another simple strategy, as they talk with patients who deal with this stuff all the time. An involved vet will make mental note of anything that can help other pets stay safe and healthy. Crating or isolating your dog to a single room can also prevent the separation anxiety that often drives the trash eating problem. Test out crating, since some dogs prefer open spaces and others need a small space to feel safe, but the foundation for keeping your dog from stealing trash when you’re not in the house may just be a sweet spot of confinement training. If the trash eating is founded in separation anxiety, using techniques to minimize your dog’s anxiety will usually also handle the trash problem. Just like any bad behaviors in a canine, a combination of training, exercise, and paw-proof technology can usually prevent any problems, but you must still be vigilant to stop garbage thieves in their tracks. 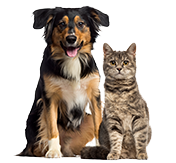 Stomach issues are the number two most common claim for both dogs and cats, and can run as much as $6,000 depending on the severity of the issue and vet rates where you live. Help protect your furry family (and your wallet), by getting a pet insurance quote today.